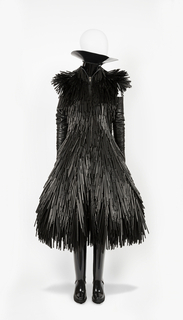 See more objects with the tag women's clothing, geometric, fashion, experimental materials, fashion designers, abstract, wearable, black. See more objects with the color silver darkslategrey grey grey or see all the colors for this object. This is a Skirt and Top. It was designed by Issey Miyake. It is dated 2012–13; design date 2010 and we acquired it in 2014. Its medium is polyester from recycled pet bottles and its technique is heat-set and transfer printed. It is a part of the Textiles department. 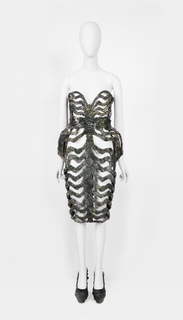 “Regeneration” and “recycling” are key words to describe Japanese fashion designer Issey Miyake’s recent project, 132 5. 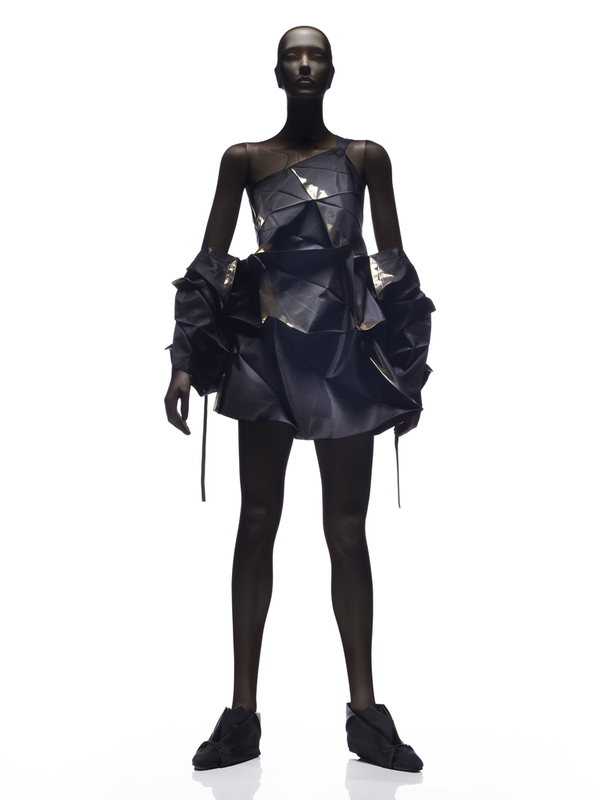 Issey Miyake, a series of garments made from a single piece of folded cloth. “Regeneration” and “recycling” refer to both the recycled PET products used to make the polyester fabric for the garments and to the design’s evolution from previous projects: his 1998 A-POC (A Piece of Cloth), represented in the museum’s collection, and the legendary Pleats Please, developed by Miyake since 1988. Miyake developed 132 5. with Reality Lab, a research and development team led by Miyake and staff members who wanted to explore the future of making things—from clothing to industrial products. According to Miyake, “132 5. begins with one piece of cloth manipulated through three-dimensional molding that can be returned to a two-dimensional plane and creates a fifth dimension when the garment is worn and comes to life.” The shapes were conceived in collaboration with computer scientist, Jun Mitani, a researcher of mathematical methods for creating three-dimensional structures through paper folding. 132 5. has 10 basic patterns, or folded forms; these become blouses, skirts, pants, and dresses when the top of the folded square is pulled upwards. Variations of the garments are created by adjusting the size, combination of shapes, and the cut of the pattern. Miyake’s philosophy has always been about keeping clothes relevant and celebrating the process by which clothes are made. Often, this process pushes the technological envelope for textile mills. At the heart of all his projects, however, is an incorporation of centuries-old textile traditions from Japan or other parts of the world. This is why Miyake’s works transcend fashion and are so appropriate for Cooper-Hewitt’s textile collection, which strives to include the most innovative examples of design. Two sets of four outfits are proposed for acquisition. 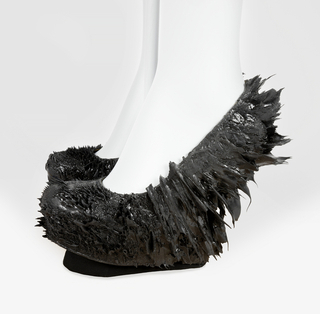 These were chosen by Issey Miyake to reflect the story of the 132 5. collection. 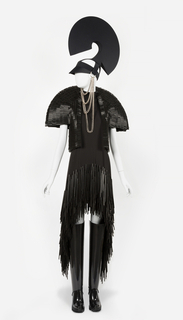 One set would be used to show the garments folded while the second set would be shown on mannequins. It is credited Gift of Miyake Design Studio. We have 2 videos that feature Skirt And Top, 132 5. 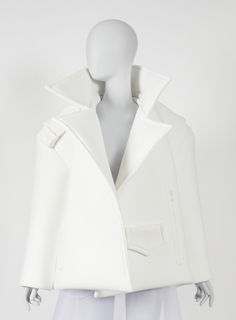 Issey Miyake, 2012–13; design date 2010. A demonstration of the "132 5. 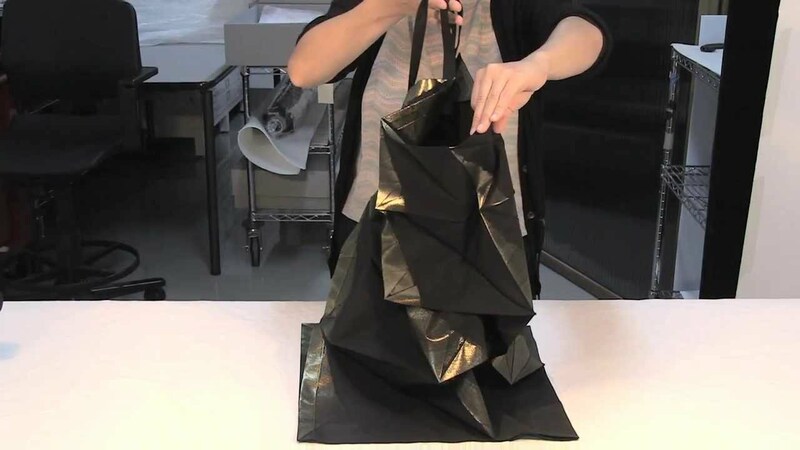 ISSEY MIYAKE" folding dress being opened and folded.